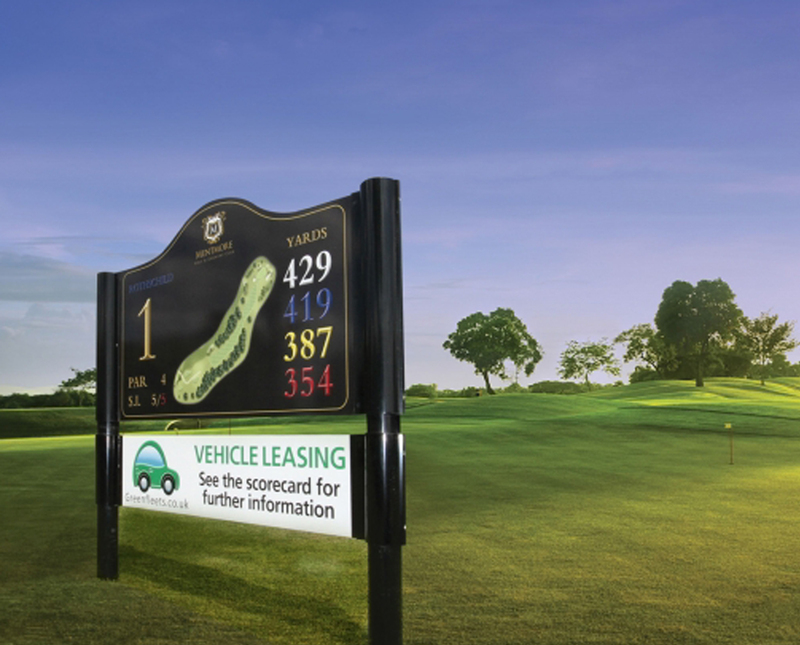 Our comprehensive range of external and internal signage options deliver a wealth of flexibility and choice for your golf club. Beautiful graphics combined with a choice of material including powder coated aluminium for a cost effective yet high quality solution to suit your budget. Your entrance sign needs to make an impact as it greets your guest and sets the tone for your club, and equally as important are the directional signs to ensure golfers keep on the right track! number 1 golf offers a broad and flexible range of high quality durable signage solutions that will enhance and reinforce your brand and add value to the club experience. ► Manufactured from durable powder coated aluminium. ► Beautifully designed graphics that can be easily updated. ► Modular systems ensuring sponsors can be added at any time. ► UV resistant with minimal upkeep required.